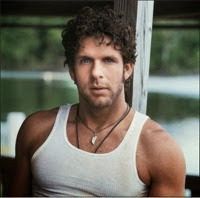 Billy Currington appeared in a Georgia courtroom on Friday and entered a plea of no contest to the charge of elderly abuse, according to the Savannah Morning News. The judge sentenced Billy to five years' probation, fined him $1,000 and ordered him to go through an anger management course. The plea and sentence stem from an incident that happened in Tybee Island, Georgia in April. According to reports, Billy chased charter boat captain, Charles Harvey Ferrelle (age 70), in a boat after Ferrelle drove his boat past a house where the singer was staying. Currington reportedly followed the elderly man began threatening him verbally. Billy's lawyer, Alex Zipperer, told the judge that his client was "extraordinarily embarrassed" by the incident. Zipperer also said, "It certainly won't happen in the future." The charge of terroristic threats against Currington was dropped as part of the negotiated plea deal. Billy's record will be expunged if he completes his sentence without incident.